The plant construction division of the A-Tec Group is in midst of insolvency proceedings, just as its parent company. Some AE&E subsidiaries have already been sold. So far, two Indian and a Croatian company were sold for a total of € 35m. 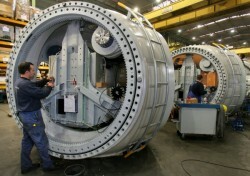 The AE&E Austria subsidiary was also sold: the buyer is the plant construction group Andritz.